The name of Afghanistan was given by the British – designed to divide the people of Khorasan and weaken them through promoting the idea that the land is a Pashtun land & that its language should be Pashto. 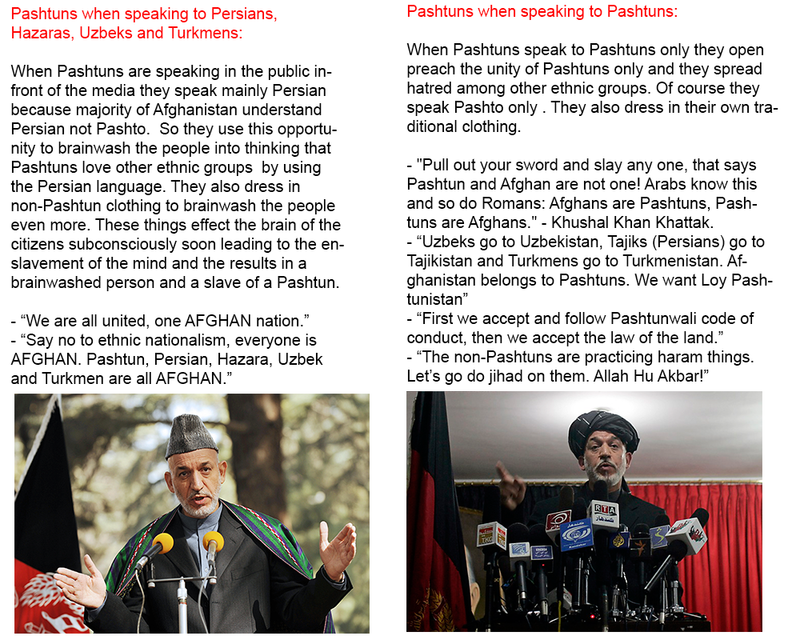 Afghanistan means the land of Afghans, Awghan, Pathans or Pashtoons also spelt as Pashtun. These names are variants of one name, Afghan. However, the modern day Afghanistan is a mosaic of various ethnics and the name Afghanistan is misleading and possessive. It is not representative of all and has destroyed the unity of the people and made them weak. Despite ethnic quotas and recruiting drives, the Afghan army is still dominated by the northern majority who was oppressed by the Taliban. 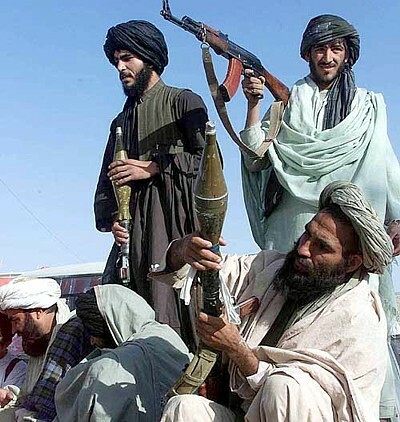 Nearly all Taliban are ethnic Pashtuns, as long as they exist in Afghanistan there will be no peace ever. The current chauvinist and ethnic supremacist policies of southern pashtuns continue and there won’t be any way out other than a partition. The northern majority of Khorasan don’t want to live and coexist with a violent tribe who support the atrocities of Taliban and their daily life is conducted by tribal laws which are primitive and extremely violent. There are two opposing factors, which is Persian langauge and Pashto ( the minority language), after partition a huge part of the geography will adapt Persian as their only official language and so one of the biggest problems will be automatically solve. Pashtuns can do whatever they desire with their language in the south. Northern, Central and Western regions no longer desired or accept to be ruled by a tribal goon from the south. 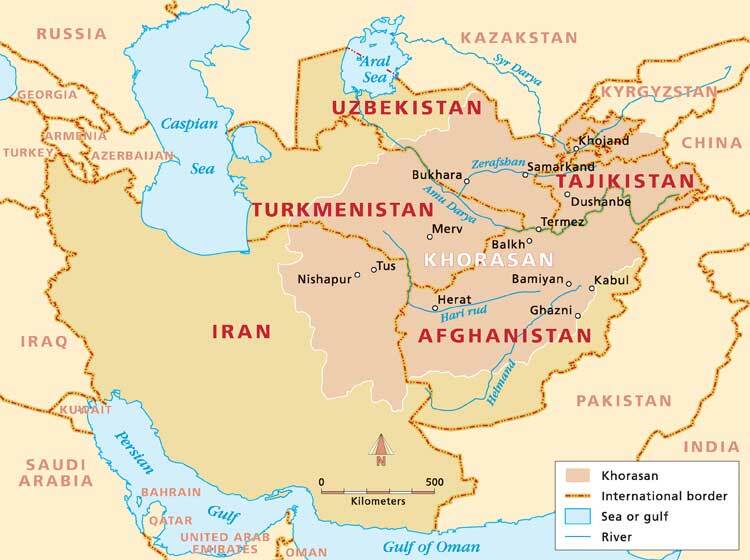 Before the invention of the “Afghanistan”, the land used to be known as other names: Ariana and Khorasan, with the most recent being Khorasan. The region was called Khorasan for 1500 years and the name was fairer and represented the state as well as the people better. It clearly doesn’t favor one ethnicity over another. As Khorasan, the region was once an advancing civilization and embodied many ethnics. However, as the Pashtun nomads entered and invaded the regions, they scattered and spread over, imposing their existence as well as a need for a country. Pashtuns are originally from the South so perhaps and they can rightly go back there and govern rightly over their own people. And leave the North to themselves. They did not bring any progress in the past—which is fairly obvious considering the condition of the country today—so logically, they won’t bring any progress in the future. And if the country is partitioned finally, there is no way it could get any worse. Most of the problems that are present among non-Pashtuns are due to Pashtuns. In the past, pre-Afghanistan, the Persians/Tajiks, Uzbeks, Hazaras, Turkmans, etc. lived side by side in Khorasan. There was no threat of communism or terrorism. Terror started with the first footsteps of Pashtun Abdalis. By separating the North and the South that is the first step towards change. Right now, there is no stability in the country and its people. Pashtuns and non-Pashtuns do not have anything in common—historically, culturally, etc. Persian is spoken by 70% of the Afghan population as its mother tongue. While Pashto is just spoken by 30% of the population. Persians and Hazaras and Uzbeks and other non-Pashtuns were never and will never be Afghan. When the literal term of a word obviously means something you are not and you don’t even speak the language of an Afghan (supposedly Pashto) then why call yourself one? The three decades of civil war in Afghanistan caused state failure, linguistic conflict and the ethnicisation of politics. After the fall of the Taliban regime in 2001, Afghanistan experienced new patterns of ethnicisation, discrimination and violence. The brutal rule of the Taliban from 1996 to 2001 scattered the ethnically embroiled mosaic of the country, undermined the ethnic balance and divided the nation into small pieces. There are those non-Pashtuns who don’t wish to go over or remember past events/bad memories—they want to take the easy way out and just start fresh. 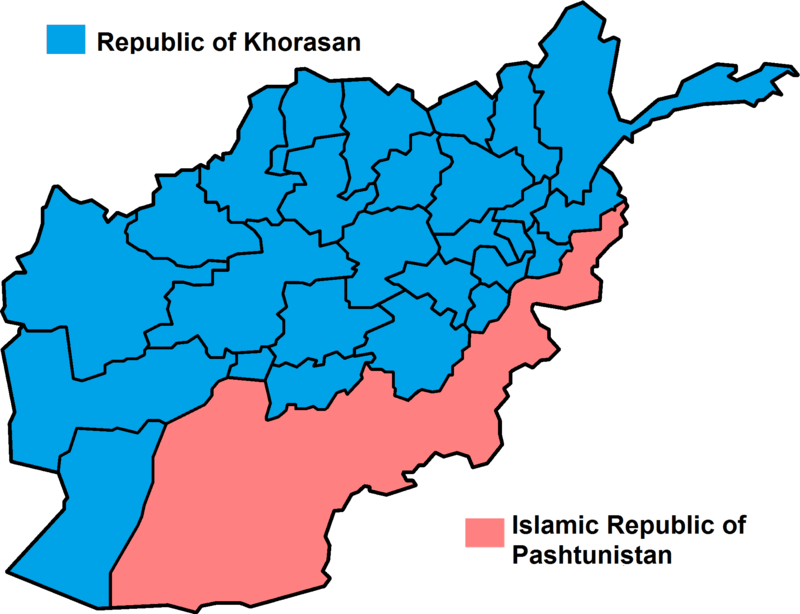 If Khorasan finally becomes independence – The Taliban would presumably keep trying to take over the whole country – but they would be handicapped by having something to lose in the South. North Afghanistan and allied forces could respond to continued Taliban attacks on the north by striking ‘Talibanistan’ in the South to discourage further attacks. Aid could be provided to the South in reward for no attacks occurring. The recent debate on the sanguinary demand of an independent Khorasan state has caused woes for the Karzai regime and its Pashtun partners. Though the demand for an independent Khorasan state has never been considered so strong and sacrosanct before the fall of the Taliban regime, foreign intervention strengthened the resolve of the Persians, Uzbek and Hazara communities to violently pursue their political agendas. Ten years ago, Persian groups re-introduced themselves as the direct descendants of the Aryans and claimed that all Persian-speaking people belong to them. Having associated with this interpretation of history, they want to establish an independent Khorasan state. Afghanistan is the country of the Pashtuns and not the Persian people. Living with Pashtuns did not work in the past and so it won’t work for the future. After all, one can not and should not try living a normal life with cancer—you have to get rid of the cancer or it will destroy you from the inside out. Whether it’s slowly and secretly or fast and outwardly there are only two ways out and they are by cutting it off or letting it kill you. Separation of the country shouldn’t be seen as a failure of the country but rather as an improvement and a solid and proper change. When we factor in all the information—dangerous and ineffective Pashtun rule, misrepresentative country name, forced Pashto assimilation—the only solution can be to separate. This entry was posted in Khorasan and tagged a, Afghan, Afghanistan, Afghans, against, ahmad shah massoud, Aimagh, Al Qaeda, Anthem, are, Asia, Awghans, azad, Balkh, Balochistan, Baluchistan, Black, border, British Empire, Bukhara, Central Asia, change, China, CIA, Country, divide, divided, Durand Line, Ethnic, farsi, Farsiwan, farsizaban, Flag, freedom, future, Genocide, government, Greater Khorasan, Groups, Hazara, Hazarajat, Herat, History, in, Independence, India, Iran, iranian, Iranic, Iraq, Islam, Israel, Jews, kabul, Karzai, Kashmir, khorasan, Khorasani, Language, Massacre, Middle east, mongol, Nato, nooristan, not, of, pakhtunkhwa, Pakhtunwali, Pakistan, Panjsher, Pars, Parsi, Parsiban, partition, Partition of Afghanistan, Pashto, Pashtunistan, Pashtuns, Pathans, Persia, Persian, problem, Punjab, puppet, reforms, regime, Revolution, Samarkand, Shia, Sindh, Solution, solve, South Asia, state, Sunni, Tajik, tajikistan, Tajiks, Tajzia e Afghanistan, tajzieh, Taliban, Talibanistan, Terror, terrorism, The Legacy of the British Empire, to allow, Transoxiana, Turkic, Turkmenistan, urged, Uzbekistan, فارسی, پارسی, west, افقانستان, ازاد, خراسان. Bookmark the permalink. If this partition happens i will return to my country. I agree. This is the only solution for ending the war in Afghanistan. As you could read from the text Uzbeks, Persians and Turkmens are NO ethnic Afghans. Afghan is an ethnic and only refers to Pashtun people. The word “Afqân” has its roots in Persian Language – It simply means “Pashtun”. So obviously Persians, Uzbeks and Turkmens which form the majority of the so called “Islamic Republic of Afghanistan” aren’t ethnic Afghans/Pashtuns, It may be possible that they are “Afghanistani” through their citizenship but they will never be “Afghan” by race. What has destroyed Afghanistan is 200 Years of Afghan/Pashtun misrule. its called afghanistan cuz we are majority , we made it , we fought for it , only thing iran wants is to spread shia culture in afghanistan for past 300-400 years.and using tajiks who immigrated from tajikistan as puppets to spread hate , crime violence, by paying them. its not gonna work! Who said I am from Iran? No you Pashtuns are NOT the majority. In fact Afghanistan has no major ethnic group. 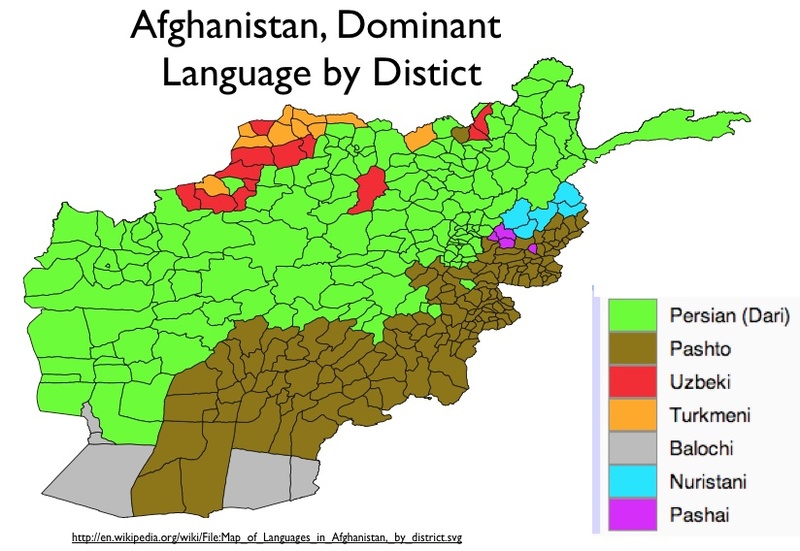 But if the Non-Afghans / Non-Pashtuns are put together they form the MAJORITY and what unites them is the Persian language spoken by majority of them. Nobody is talking about the Shia Ideology of the Islamic Republic of Iran.. but about an independent SECULAR (I hope you know what that is) Khorasan Republic away from radical islamic Pashtuns. Also majority of Persian (Tajiks) in Afghanistan are Sunni , so what is the deal? As a proud Tajik I refuse to call myself Afghan and never will I do so. I’m a Tajik, a Persian. I bear no ill will towards any other ethnicity, we’re all humans and I want us to all have great relations. However that said, does a Kurd call himself a Turk, an Iraqi? Does a German call himself French? Does an Irishman call himself English? Why should we as Tajiks, descendants of Khwarezmi, of Rumi and Avicenna call ourselves Afghan? We are Persians ethnically, linguistically, culturally and historically. Let us strive to create greater awareness amongst our people about our heritage. I wish the same for our Uzbek, Pashtun and Hazara brothers should they desire to. Look towards every developed nation in this world, they are all dominated by one particular ethnic group, any nation without a dominant ethnic group has been embroiled for centuries in sectarianism, civil unrest and war until they got their freedom. We are once more at a crossroads, we can either once more seek to move forward as one ‘nation’ and inevitably at some point down the line be embroiled in civil war, or we can learn from history and get together as people and say, this has not worked for 200 years, what is to say it will ever work, let us secede and try again. At the very least that will solve the issue that has plagued us the longest; sectarianism and perhaps usher in some sort of stability which can finally allow us as people and state to develop out of the dark ages and enter the 21st century. God Bless all citizens of what is today Afghanistan and may we partition this failed nation so that we all; Pasthuns, Hazaras, Tajiks, Uzbeks and all other ethnicities can finally leave behind us poverty and wars and finally progress, as separate states and have great relations, as genetic, cultural and linguistic relatives. I am a ethnic Arab from khorassan aka Afghanistan. There are 2 million of us in khorassan, large numbers in balkh it’s from were I come and in samangan, jalalabad, wardak, Kabul, jawzjan, kundoz, Kandahar. But we are seen as Tajik by The rest of the country. Because of being heavily persionized. Linguistically and culturally. And my thoughts on the subject of the partition of our country is this. As a Muslim my heart doesn’t want to witness this but if this is the only way of obtaining peace then let it be and I wish with all my heart the best of luck to our brother in Islaam the pashtuns. THE only thing i like or its true Afghanistan is country of pashtons that’s it. one thing pashtos are more then everyone (persians.etc….). No according to many stats we all can agree that they make about approx. and max. 40% of Afghanistan.. but there are still the Persian speakers: Tajik, Hazara, Qizilbash who form toegether at least 55% to 60% of the population.